At the recent African Literature Association conference in Atlanta, Africa in Words had the opportunity to speak with Ernest N. Emenyonu, Professor and Chair of the Africana Studies department at the University of Michigan-Flint, about African Literature Today’s latest issue, “Children’s Literature and Story-telling” (ALT 33). 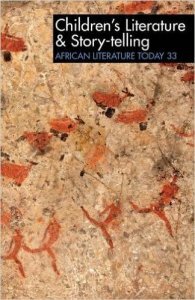 What inspired you to feature children’s literature in the latest issue of African Literature Today? Why children’s literature now?